Are you buying a home with an existing swimming pool? Are you selling your home that has a swimming pool? 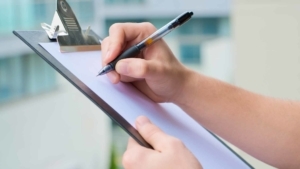 Our comprehensive inspections are a visual and mechanical inspection of the pool, deck, equipment, and plumbing. Once complete, a full written report will be provided with conditions and any repair recommendations. Surface, tile, coping, decking and fence. If you choose the Advanced Inspection, we will then plug the skimmers and returns and pressure test these lines. The main drain will be air locked for 10 minutes to see if it holds. NOTE: Both the basic and advanced inspection must have the pool up and running to get a complete report of the pool condition. If the pool is not open or is not clear and blue, areas of the inspection may not be able to be completed and will be noted on the final report. * Fees are due upon completion of the inspection and before the final report is given. ** A pool inspection is based on the conditions of the pool and its equipment on the day of the inspection, it is not a guarantee of this condition beyond the date of the inspection.